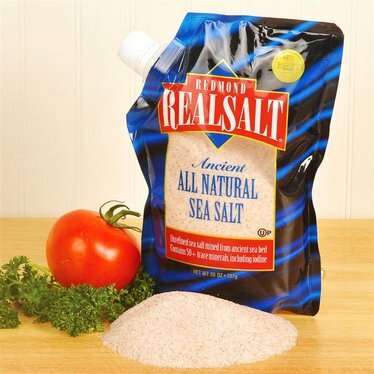 Our Natural Sea Salt is OUT OF STOCK, but we have ordered more! You are still able to purchase it now and we will ship it to you as soon as it arrives. Questions? Please call 1-800-438-5346 or email us at info@Lehmans.com. One sprinkle and you'll taste the difference of this pure, unrefined salt, free from additives or chemicals of any kind. Most table salts are bleached, refined and mixed with many additives. This natural sea salt comes from an ancient salt deposit deep in the Utah desert. We have been able to purchase this in some of our local stores. We don't want to be with out it. In fact, when we travel, I like to take a small shaker with me. I'll never be with out (if I can help it). Product is great. Packaging not so much. Delivered in a separate zipper bag for shipping to keep the leaking salt out of the rest of the package. Only half of the product arrived in the original container. When I first ordered this salt my husband laughed and called me a sucker for paying 11.95 for salt. Now he checks to be sure that we are not close to running out. I have reordered it 3 times and today I am ordering 4 because we like it so well. It is truly wonderful in everything I cook. Try it and you'll never want to season with plain salt again.